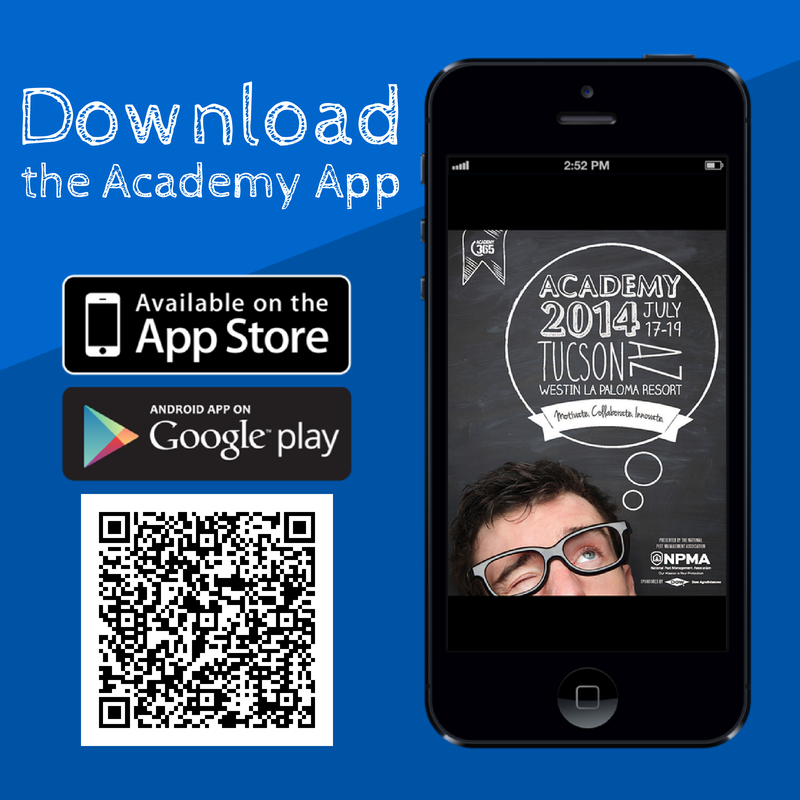 Ready for Academy 2014? There's an App for That! The mobile app we created just for NPMA Academy is now live. Download it for free to your iPhone, iPad, or Android. Notifications of important updates, special offers, and more! Ready to get started? 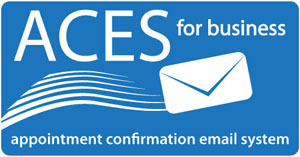 Use the QR code provided or click https://crowd.cc/academy2014 from your device. If you use Apple or Android, you can also search for the app "NPMA Events" in the iTunes store or Play store. Still need to register your team for Academy? Click here to register. Prices increase in one week! As part of National Pollinator Week, President Barack Obama last Friday issued a Presidential Memorandum expanding Federal efforts and taking new steps to reverse pollinator losses and help restore populations to healthy levels. The Memorandum establishes a Pollinator Health Task Force that will be chaired by the Secretary of Agriculture and the Administrator of U.S. Environmental Protection Agency and charged with developing a National Pollinator Health Strategy within six months that includes an Action Plan. The Memorandum also directs federal agencies to increase and improve pollinator habitat, which includes EPA assessing the effects of pesticides, including neonicotinoids, on bee and other pollinator health, and taking appropriate action. Click here to read the entire Memorandum. In an effort to continue to make a difference in our members' businesses, NPMA has added 2 new member benefits: Prescrpt, a prescription discount card and Telehealth and Wellness Hotline, a virtual physician network. Click here to learn more about these programs and to see a full list of NPMA member benefits. The Mid-Atlantic/Carolinas Summer Conference Early Bird Rate Ends in TWO DAYS! There are only 2 days left to register at the early bird rate for the 2014 Mid-Atlantic/Carolinas Summer Conference, July 24-26 in Wrightsville Beach, NC. Click here for more details and registration. The Pest Management Foundation recently received a final research report from the University of Illinois at Urbana-Champaign investigating the chemical ecology of odorous house ants (Tapinoma sessile). The Foundation provided a research grant to the fund the project which identified the glandular source of the trail and alarm pheromone in T. sessile workers. However, experiments performed using pygidial gland extracts did not always induce trail-following behavior. The research provides a foundation on which additional research can be built upon to better understand the complex chemical communication that occurs within a colony which may lead to better control methods in the future. Click here to read the report. 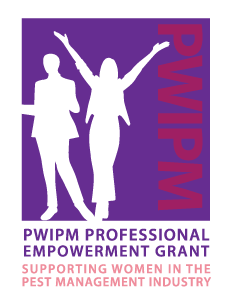 PWIPM is currently accepting nominations for their annual professional empowerment grant. This grant will be awarded to one female who is interested in advancing or securing a career in pest management. Click here to view submission guidelines. Click here for full description and registration. The Spokane City Council yesterday voted 5-2 to ban the city's purchase and use of neonicotinoid pesticides. The prohibition only applies to city property. Click here to read a Spokesman Review article about the legislation. The Oregon Department of Agriculture (ODA) last week suspended the pesticide license of a pesticide applicator company responsible for spraying an neonicotinoid insecticide blamed for killing 1,000 bees at a Eugene apartment complex. The company allegedly sprayed 17 linden trees in bloom last week. ODA asserts that the company should have known the pesticide had come under new restrictions after being linked to a high profile bee kill last year. As a condition to regaining their license, the company agreed to cover the sprayed trees with shade cloth to prevent more bees from being poisoned, getting personnel recertified to handle pesticides, and developing a plan to prevent future problems. Click here to read an Oregonian story about the incident. This episode should serve as a reminder to PMPs throughout the country that they and their technicians need to be extremely cautious when making applications near bees or bee friendly habitat. PMPs should be especially aware of the new pollinator protection language on many neonicotinoid product labels. To ensure food industry professionals have a full understanding of the impact new regulatory requirements will have on their operations, Griffin Pest Solutions is hosting the Food Safety Pest Management Conference, Sept. 23, 2014, at the FireKeeper’s Casino in Battle Creek, Michigan. Scotts Miracle-Gro Co. started its lawn service division 15 years ago to fertilize suburban yards. Scotts now wants to kill two insects with one stone and have its lawn service offer pest control services, too. Do You Really Have to Pay More to Attract Good Employees? July 17-19, 2014 Academy 2014 Tucson, Ariz.
July 24-26, 2014 Mid-Atlantic/Carolinas Summer Conference Wrightsville Beach, N.C.
Oct. 21-24, 2014 PestWorld 2014 Orlando, Fla. Keeps gutters free flowing, Eliminates Mosquitoes from the gutter. High profit value added product. Easy Installation. Cellulose Insulation with Zone Defense® additive. Keeps your customers' home comfy while helping make you comfy profits!